Frank?! Rumor: Tatsunoko Vs Capcom characters leaked? Don't everybody go crazy. This is still in fetal rumor form at the moment, but a post on the Shoryuken.com forums has pointed out that Capcom's Japanese character site for Tatsunoko Vs Capcom may have the game's entire roster listed in its source code. Allegedly, Mega Man Zero, Yatterman #2, Joe Asakura from Gatchaman, and Frank West from Dead Rising. Again, nobody from Capcom has said a word on this, so it's still just speculation at this point. But the names are right there, alongside "morigan.jpg" and "veutifu.jpg," so it's not entirely unlikely that this is exactly what we'll be hearing when Capcom finally announces the new characters officially. There also exists the possibility that they've put these there on purpose just to throw everyone off, so do keep that in mind as well. 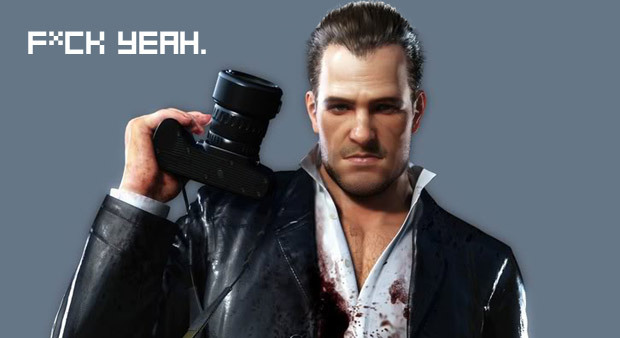 That said, I would just like to state for the record, F*CK YEAH FRANK WEST.